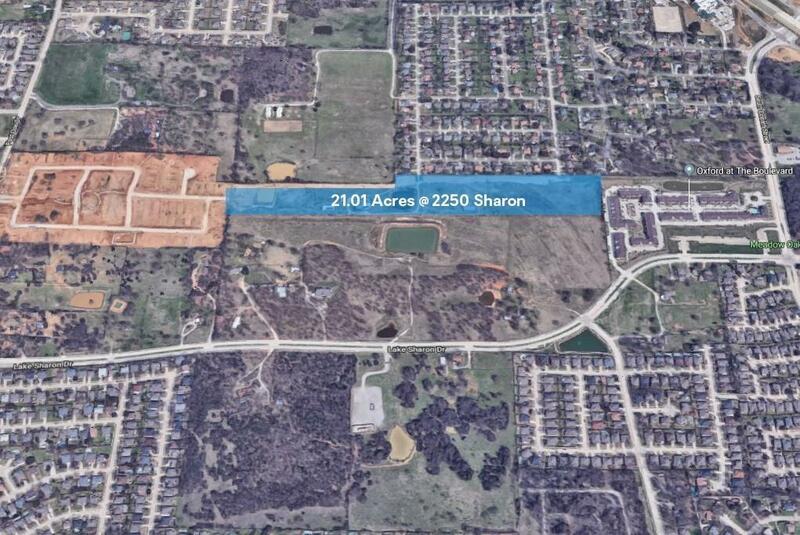 21 Acres available for development in rapidly growing Corinth; Possible Town home or SFR Community Development concept with water features and greenbelt; Located near 35 E, Corinth Pkwy and Lake Sharon; Future Development to south includes SFR, Sr Living, Multifamily & retail; New Meritage SFR community adjacent to the West ($500K's); minutes away from 2 major state university systems University of North Texas and Texas Womens University; DCTA commuter rail system passes through Corinth and accessible at 2 convenient locations to Denton and downtown Dallas. Offered by Heather Konopka of Century 21 Mike Bowman, Inc..
© 2019 North Texas Real Estate Information Systems. All rights reserved. IDX information is provided exclusively for consumers' personal, non-commercial use and may not be used for any purpose other than to identify prospective properties consumers may be interested in purchasing. Information is deemed reliable but is not guaranteed accurate by the MLS or Van Poole Properties Group. The data relating to real estate for sale or lease on this web site comes in part from NTREIS. Real estate listings held by brokerage firms other than Van Poole Properties Group are marked with the NTREIS logo or an abbreviated logo and detailed information about them includes the name of the listing broker. Data last updated 2019-04-26T07:40:58.543.